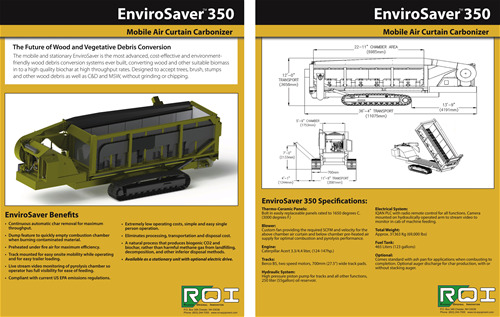 The future of wood waste conversion systems- The ROI EnviroSaver and CARBONATOR Series of Air Curtain Carbonizers are the most cost-effective and environment-friendly systems for high-volume wood waste reduction. ROI’s carbon negative conversion process produces a superior quality end-product, Biochar. All of ROI’s systems are available as portable, track mounted, or stationary, depending on our customers application requirements. Continuous automatic char removal for maximum throughput. Dump feature to quickly empty combustion chamber when burning contaminated material. Preheated under fire air for maximum efficiency. Track mounted for easy onsite mobility while operating and for easy trailer loading. Live stream video monitoring of pyrolysis chamber so operator has full visibility for ease of feeding. 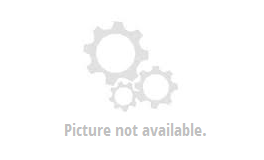 Compliant with current US EPA emissions regulations. Extremely low operating costs, simple and easy single person operation. Eliminates processing, transportation and disposal cost. A natural process that produces biochar, rather than harmful methane gas from landfilling, decomposition, and other inferior disposal methods. Available as a stationary unit with optional electric drive.